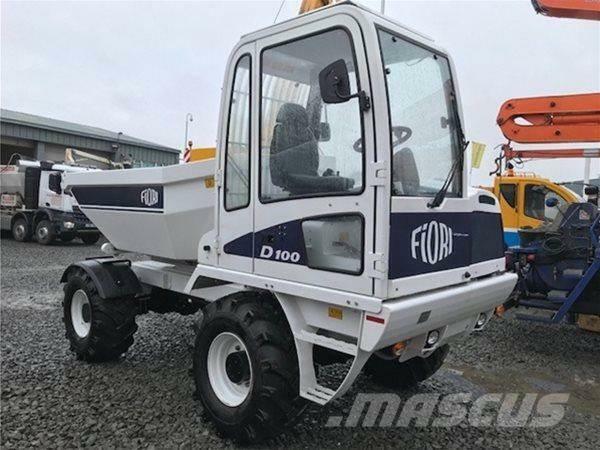 Más información Fitted with heavy duty rock type swivel/tip dumper body. Struck capacity 3,700 litres, heaped capacity 5,200 litres, tipping via twin hydraulic rams. Maximum payload 10,000kgs. Powered by Kohler series 3 model KDI3404TCR Stage IIIB / Tier 4I, 4-cylinder 122hp water-cooled turbo diesel engine. 4 x 4 hydrostatic transmission, 4-wheel steer, 2-speed with internal oil bath disc brakes. Enclosed front drivers cab with rops/fops protection. C/w lifting points, reversible driver’s seat, 180º with automatic inversion of hydraulic steering cylinders, two rear facing blind spot cameras with duel in cab monitors. With full warranty.